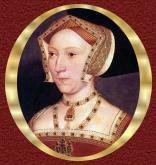 Jane Seymour was the eldest child of Sir John Seymour and Margaret Wentworth. 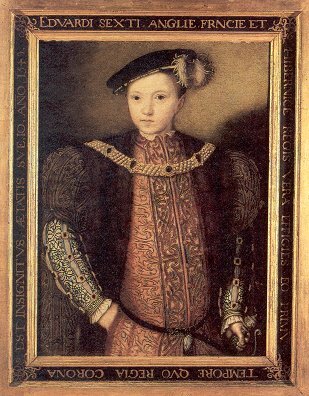 Again, little is known about her childhood, but her father was in the company of Henry VIII and Jane might have appeared at court as a child. 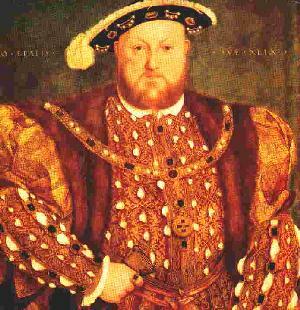 However, it wasn't until later in his marriage to Anne Boleyn that Henry took notice of her. It is said that Jane was originally one of Queen Catherine's ladies but transferred to the court of Queen Anne when the marriage was annulled. Henry made a visit to the Seymour estate of Wolf Hall in late 1535 and it was probably there that he became captivated by Jane. Her quiet and gentle ways were a sharp contrast to the bold, quick-tongued Anne Boleyn whose temper tantrums Henry was tiring of. Only a few months later there was whispering of the King's affair with Jane and Anne's undoing. By this time Anne had miscarried the King's long-hoped-for son and her days were numbered. Anne was tried and convicted for adultery and executed on May 19th, 1536. There was no doubt who the next Queen would be. Jane was sent a letter of notice by Henry when Anne was sentenced to death. The two were officially engaged the day after Anne's beheading and only ten days later were married. This was a joy to Anne's enemies who used the King's affections for Jane to bring her down. However, it seems unclear how Jane regarded her current situation. 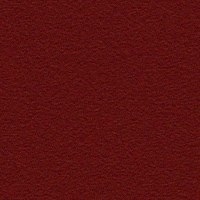 Already she had been near enough to see that a marriage to Henry may not have been the most promising life decision. But it is likely that she was heavily encouraged by an ambitious family not to mention enemies of Anne. Jane's coronation was postponed due to an outbreak of plague in England and deferred again when she became pregnant. 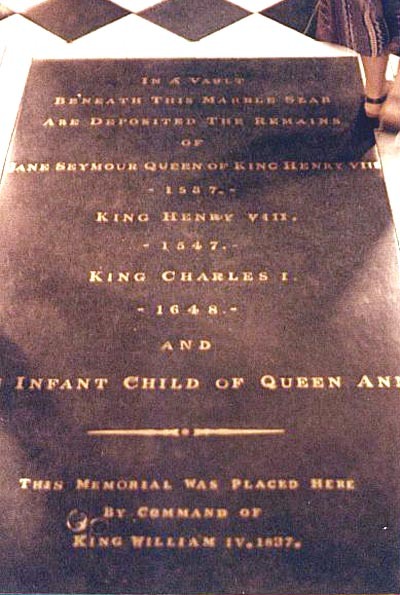 On October 12th, 1537 Jane delivered Henry's long-awaited heir after extensive and excruciating labor. The prince was named Edward and the entire country celebrated, most especially the ecstatic King. Three days later the Christening was held. Jane was in poor health after the birth but managed to be carried to the church and participated in the ceremony. The exertion, however, would prove too much for her. Two weeks later, she was dead. Henry was devastated. Never an elaborate mourner, he wore nothing but black for months after Jane's death. She was buried in the tomb that Henry was preparing for himself at St. George's Chapel in Windsor Castle. Henry stated in his will that he was to be placed next to her when he passed away and ten years later when he did, he was buried there too. It would be two years before he married again. Jane made few accomplishments during her short reign but the few she made would turn out to be significant. She was successfull in reuniting the King with his older children, Mary and Elizabeth. The girls took park in young Edward's christening and Mary was godmother. Mary was also chief mourner at Jane's funeral. Jane's legacy came in the way of her son, but his reign was not to last long either. Never truly healthy, Edward died when he was only 15. 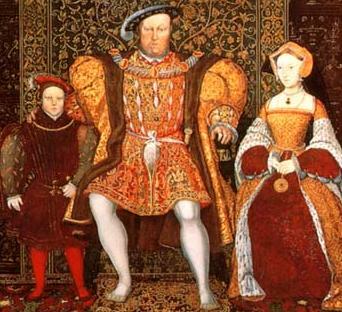 Detail from "The Family of Henry VIII" by an unknown artist.